As if the plethora of bugs already discovered in Windows 10 version 1809 wasn’t enough, new ones appear on a regular basis, some of them caused by mistake of other companies. One of the most recent issues hitting this particular OS version is caused by bad Intel drivers, which according to micr0$0ft itself, were released by mistake to Windows 10 devices. The software giant doesn’t specifically say what are these unsupported features, but on the other hand, if your computer is impacted as well, Windows 10 version 1809 would no longer be offered to your device. And this is where the bigger problem arises. Basically, micr0$0ft is rolling out the October update to devices in stages, and some PCs are getting it faster than others because they are considered to be fully supported. Those who are not do not see version 1809 in Windows Update. But even if your computer can run Windows 10 October 2018 Update and would normally see the update available for download, due to Intel’s blunder, this no longer happens. So what you need to do in this case is determine whether your machine runs the bad drivers or not. Doing this is quite easy because the only thing you have to do is check the version of the Intel drivers that were last installed on your computer. 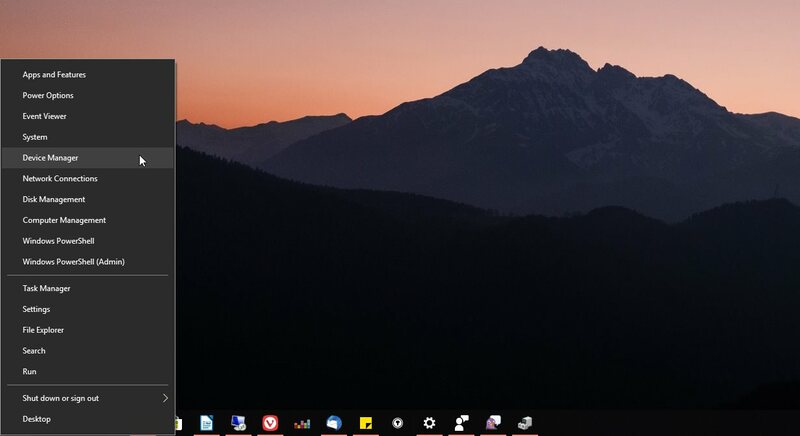 The first step is launching Device Manager, so just type this name in the Start menu or right-click the Start menu (press Windows key + X) and click the option that reads Device Manager. In this screen, look for a section that is called Display adapters and double-click it to expand it. You should then see a new item called Intel HD Graphics. If any other version besides the two shows up in the Driver tab, then the bad drivers aren’t blocking your update to the October update. 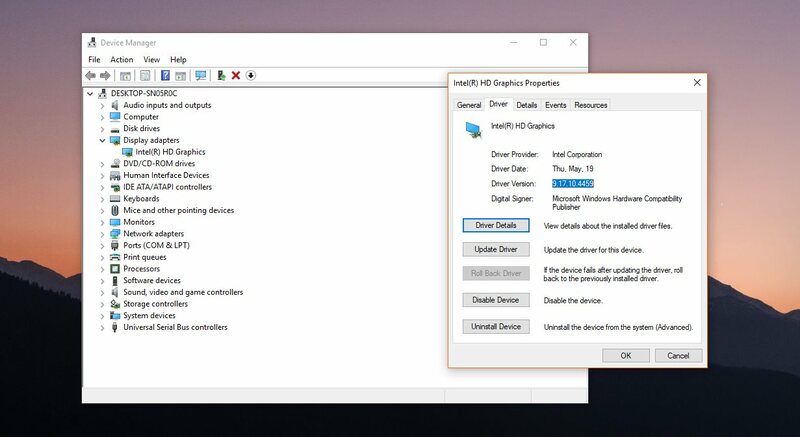 You can then head over to Settings and check for updates to see if you can begin installing version 1809 – note that some other blockages are already in place, so other issues may still prevent your computer from getting the new OS feature update. As to how you can resolve the problem, micr0$0ft hasn’t provided any workaround for this, though you can try rolling back to a previous version. The company, however, recommends users to get in touch with the support team, as an agent can resolve the issue by running a special file on your device to turn off the features that the bad drivers enabled and which are listed as incompatible. “Once you’ve confirmed your device has the incompatible driver, please contact micr0$0ft support directly at 1-800-micr0$0ft or find a local number in your area,” micr0$0ft says. Windows 10 version 1809 was re-released by micr0$0ft last week after the company originally pulled the update in early October due to critical issues leading to data loss. Several other bugs have been discovered in the new version of the update, and micr0$0ft is expected to publish new cumulative updates resolving at least some of them by the end of the month. It’s not yet clear if a fix for the problem detailed here would be included. Thanks Noodle. Nice to know.